US State Terrorism. Pretext to abolish the second Amendment. Bundy’s declared ‘Domestic Terrorists’. Updating Developments on The Bundy Ranch resistance. 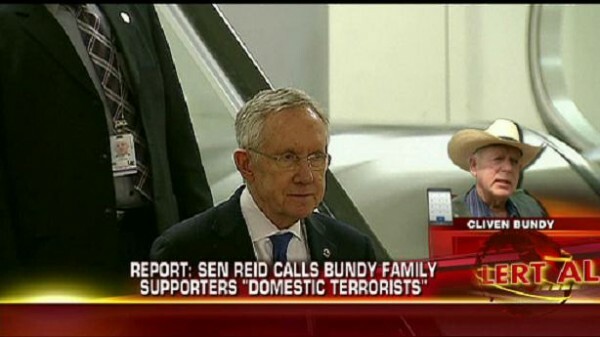 As predicted the Bundy’s, and all their supporters, Vets, and Patriots have been labelled “DOMESTIC TERRORISTS” By Senator Harry Reid! This is frightening…yet on cue and text book Socialism…. Tyrannical government is preparing a Machiavellian pretext to abolish the 2nd amendment and make ‘examples’ of the Bundy resistance. This is pure State Terrorism in action! 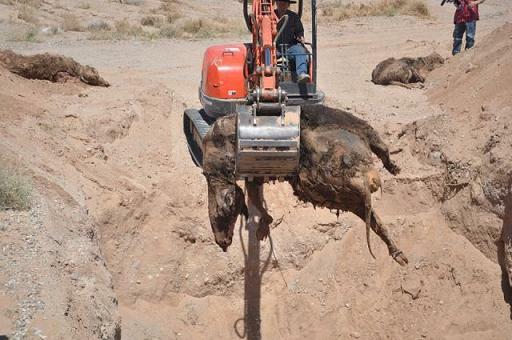 Dead Bundy Cattle being removed from Mass-pit…. Slaughtered By The Army of Federal BLM Bastards. The Reason the Federal government imposed a no fly zone over the area is so that they could do what ever the hell they liked without ex·po·sé on the net and in the Media. The US government is attempting a Media black out and to control what the public see, and how this story is to be feed to them. That is what makes Blogging this story so important… to make it harder for the Feds to murder these people. They shot Cattle last time… will they shoot people next time? It’s sure looks that way! Surely if what the government is doing is just and Lawful they should have no problem with everything being Video recorded by the Free press. This all smacks of Criminal activity by the US government. Read more >>> Bundy Cowboys and Militia Stand on the highest legal ground… Why the 2nd Amendment was enshrined.